On the cover, Klara affixed one stamp. 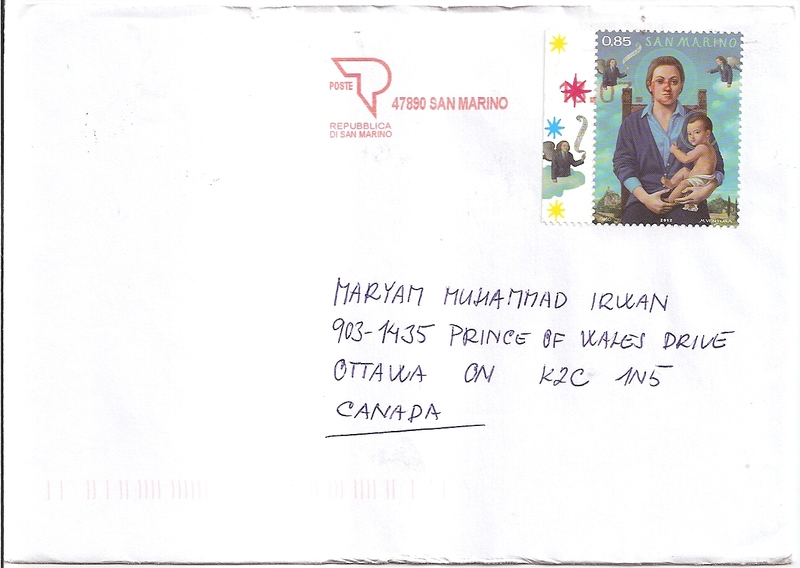 A red machine cancellation was applied with postmark date 18 July 2013. Thanks a lot Klára!